Rajouri, April 14: Pakistan has violated ceasefire 513 times along the Line of Control (LoC) in Jammu and Kashmir after the air strikes conducted by the Indian Air Force (IAF) on Jaish-e-Mohammed (JeM) terror camps across the border in Balakot. Lt Gen Paramjit Singh, General-Officer-Commanding (GOC) 16 Corps told reporters in Rajouri, “513 ceasefire violations by Pakistan have taken place along the Line of Control, in the last one and a half month. Pakistan used heavy weaponry over 100 times during these violations.” Seven Pakistan Posts Destroyed as Indian Army Retaliates to Ceasefire Violations. The GOC 16 Corps further stated that whenever Pakistan carried out such violations, the Indian Army also retaliated effectively. Responding to a question about the casualties suffered by Pakistan in the retaliatory action, he said unlike the Indian Army, Pakistan does not announce the number of its casualties. Lt Gen Singh added, “However, as per our sources, the Pakistan Army suffered five to six times more casualties than the casualties on our side.” Indian Army Retaliates Strongly to Ceasefire Violation, Destroys Pakistani Bunker Across LoC in Akhnoor Sector; Watch Video. 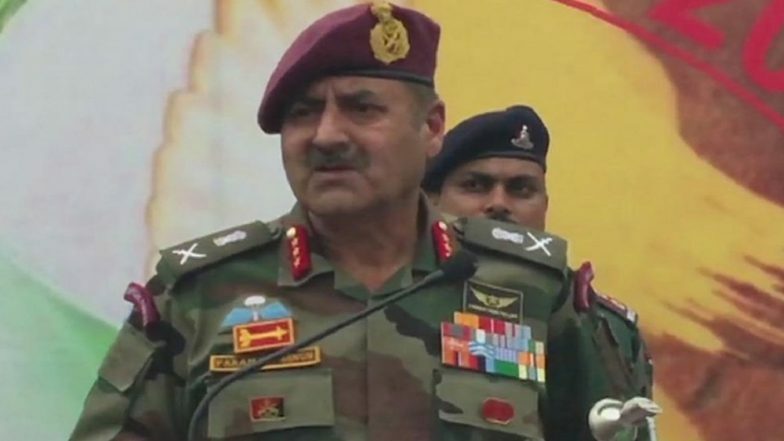 On the sniping incidents from across the border, Lt. Gen. Singh said such incidents had come to nought over the past several months, especially after the Balakot strike. “Some incidents of sniping took place earlier and accordingly we have taken some measures to strengthen our defence. As per the data this year, only three incidents of sniping by the Pakistan Army were reported from January to February 26 in which one of the fatalities include a civilian porter,” he said. When asked for a comment on politics being played in the name of soldiers during the ongoing Lok Sabha elections, he said the Army does not want to get into the debate.